Dressed up my son as chucky, bought over all’s and wrote “good guys” on them, along with a striped shirt. Did make up and red hairspray and you gave chucky. 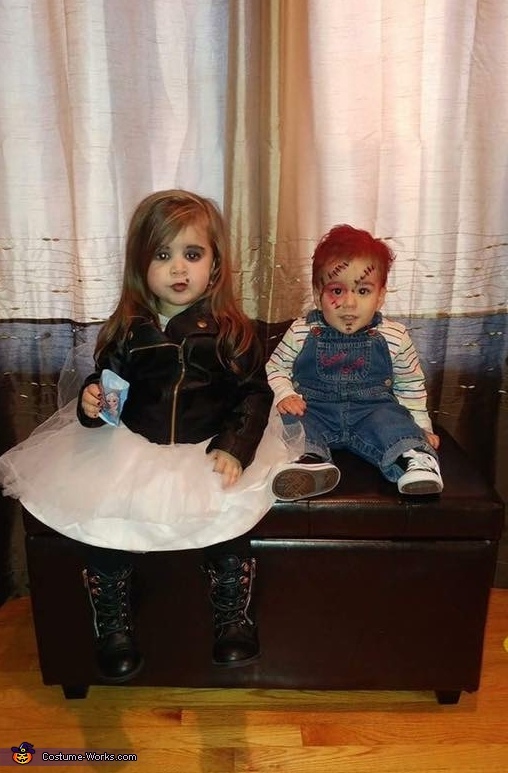 My daughter was bride of chucky. She used an old flower girl dress from her aunts wedding, leather jacket and riding boots.